Since the inception of Bitcoins way back in 2009, they’ve experienced a rather tumultuous journey through the last decade. While they failed to make much of a mark initially, 2016-17 saw a revival from them that rocked the very foundations of investment firms all over the world. With an all-time high rate of a massive $19,783 per Bitcoin, the world unmistakably recognized that Bitcoins would soon dominate over almost all manner of transactions all around the globe. Currently, Bitcoins can be utilized to purchase a varied range of products and services. A vast number of merchants and online sellers have started accepting Bitcoins as a form of payment. And the ones which don’t are certainly planning to do so. Now while the rest of the world hasn’t in any ways declared Bitcoin dealings illegal, but are yet to explicitly allow and recognize its trade and use. In fact, Bitcoins are now increasingly being used to purchase other forms of cryptocurrency like Ethereum or Ether tokens. All of this is mainly due to the ease with which one can carry out Bitcoin transactions. They are safe, secure and fast. Couple these characteristics with the fact that they can now be easily purchased from a variety of exchanges and you get a pretty good reason why they have become such a dominant force in the digital sphere today. In fact, the very domain of cryptocurrencies has been receiving a lot of attention lately. While the Bitcoin certainly happens to be the frontrunner in the race, there are other hyped cryptos as well. Ethereum is one such example of a cryptocurrency other than Bitcoin which is currently riding high on a popularity wave. Other than that, Litecoin which was launched back in 2011, is often referred to as the silver to Bitcoin’s gold. Zcash, an open-source cryptocurrency, is often used to provide extra layers of security to transactions on the blockchain. For privacy enthusiasts, Dash works great as it provides the user the flexibility to remain anonymous and keep all dealings and transactions extremely private. But the question here is, why limit yourself to only certain products and services? Why not extend the reach of Bitcoins towards more unconventional purchases, such as those of precious metals and stones. Gold and silver are one of the most sought-after metals in the world. They were always popular, be it in whatever form. And since this obsession of ours shows no signs of stopping or slowing down, it seems only natural that we use whatever bit of technology we have at our disposal to make their purchase easier and much more convenient. For this very reason, it is imperative that we harness the potential that Bitcoins present, and use it in our gold or silver purchases. How Does one Buy Gold or Silver with Bitcoin? Before we move on to the ‘how’, it is important to understand the ‘why’. Why exactly is it that we’re told to invest in gold or silver? Why do we need to buy gold with Bitcoin? Is it merely because of the fact that they’re shiny and look pretty? Or do they come with some hidden benefits which may far outweigh the ones we’re already familiar with? Is the investment part of it really worth it? Let us dig a little deeper. It is often said that nothing in the world is permanent. Whatever comes around goes around. But what if we were to tell you that the demand for gold and silver has almost never seen a decline in the past hundreds of years? The massive popularity and global appeal of these precious metals continue to rise with time, and unlike any other commercial commodity, they’ve never faced a net decrease in sales. Sure, there are fluctuations here and there, as are quite natural, but the general trend has always been on the positive front, making these metals the perfect choice for investors. Another big reason why you must grab your share of these metals as soon as possible is the simple fact that they are limited in supply. Mining operations are currently moving forward in various parts of the world. Various large scale industries and plants have been set up specifically to extract as much gold and silver as possible from the earth. And yet their demand far outweighs their supply. For this very reason, precious metals often are found at higher rates than other easily available metals. Goldman Sachs has in fact gone on record saying that all of the gold reserves of the world are expected to run out in about 20 years. Now while this may seem like bad news, it could spell out a fortune for those who are already in possession of a decent amount of gold. Investments might seem like a simple enough concept to understand. But to truly master them, one must learn all the tricks of the trade and familiarize oneself with all the basic nuances. One of these concepts is that of privacy, which actually holds a good deal of importance for a good majority of investors out there. A surprisingly high number of investors want to keep their dealings private, and for that, gold and silver are just about the perfect metals to invest in. When dealing with any of the precious metals, none of your private information is shared with the public or any public entity. The purchaser may choose to remain anonymous and keep his identity secret. Another great factor that works well for precious metals like gold and silver is the ease with which they can be liquefied. Today, we’ve developed our financial schemes and services to the extent that any and all forms of precious metals can almost instantly be converted into the currency of our choice. Irrespective of the country you belong to or the form of currency you are looking for, it won’t take more than a couple of days to get instant cash transfer to your personal bank account in exchange for gold and silver. Gold purchases can serve as a pretty viable shield against inflation for the average consumer. If you happen to buy a decent quantity of gold today, and find that you’re able to purchase a certain set of items from the actual value of the gold, then ten years from now, you would still be able to buy the same items with perhaps a good amount of money to spare as well. That’s some pretty solid cover against inflation, which you can only get if you choose to invest in gold or silver. Until a few years back, the gold to silver ratio was around 16 to 1, which means that you could buy as much as 16 ounces of silver for one ounce of gold. Today that ratio has soared up to 70 to 1. 70 ounces of silver now roughly equal a single ounce of gold. Now going by what the experts have to say, it is predicted that this ratio will soon go back to its original value, meaning that silver is about to experience an almost unprecedented rise in costs. This could mean potentially significant profits for silver investors and buyers. 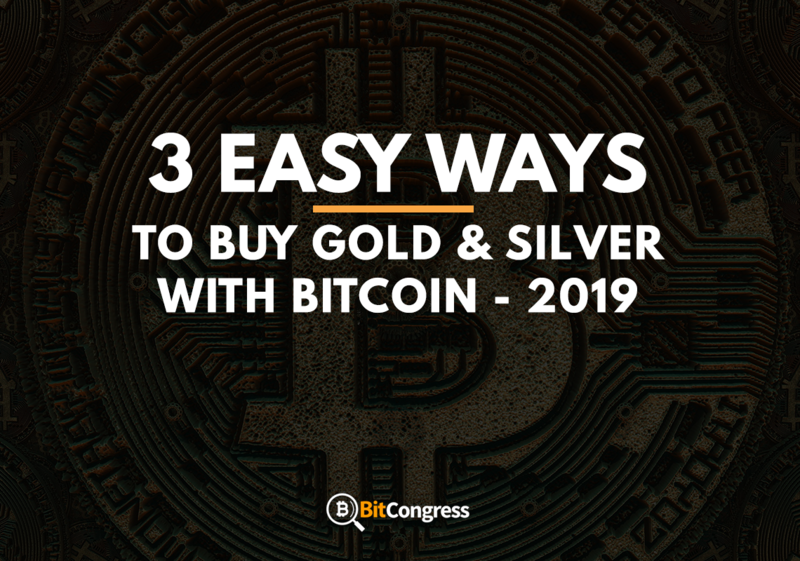 Now that we’ve familiarized ourselves with the benefits of investing in gold and silver, answered the question of why we need to buy silver with Bitcoin and are clear on why they are such a great choice, we need to understand how do we actually go about making purchases with Bitcoins. But first, let us first outline any factors which make Bitcoin such a great alternative to more conventional methods of payment. First of all, the popularity of Bitcoins isn’t something that needs any introduction. Bitcoin is literally well on its way to becoming the single most powerful currency in the world. Recently, in an interview with Twitter’s CEO and co-founder Jack Dorsey said that in about ten years, Bitcoin could become the world’s single currency. That’s huge coming from a man of such influence. Other than that, Bitcoins have literally revolutionized payments all over, owing to the convenience that they bring to activities like online shopping and trading. The process that you need to follow for purchasing gold or silver with Bitcoins is actually not complicated at all. 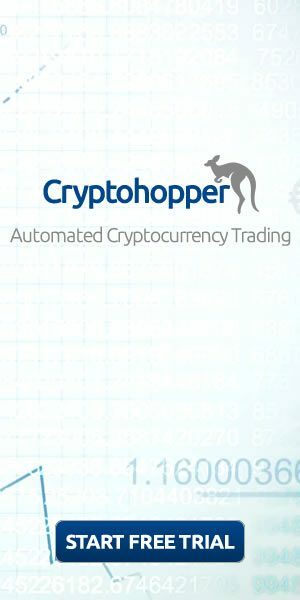 Anyone with even the most minimum amount of knowledge with regards to cryptocurrencies is qualified enough to do it, and the entire process takes no more than a few minutes of your time. Firstly you need to find a website that deals in gold or silver and accepts Bitcoins as payment. A pretty decent choice would be Bitgild or GoldSilver. 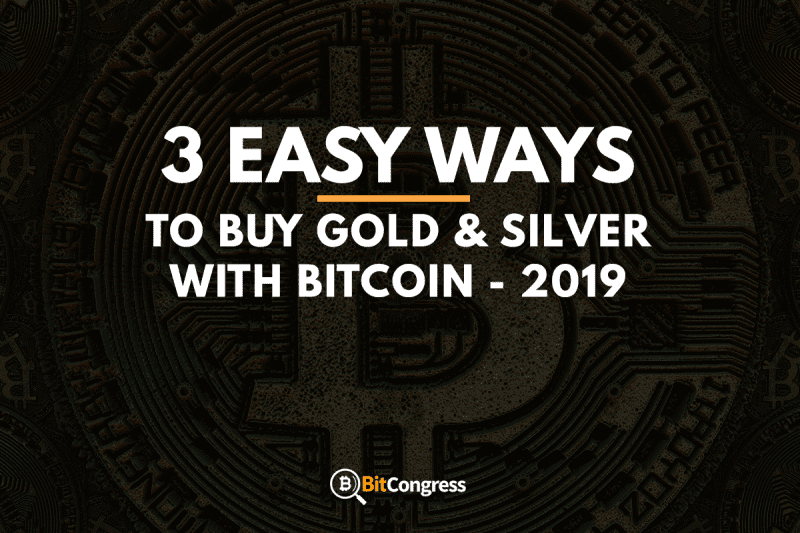 Both of these websites work wonders when it comes to making gold or silver purchases, and provide a diverse range of payment methods, one of which is through Bitcoins. Another fantastic example of a website like that would be Vaultoro. Here’s a little rundown of what each of these three has to offer. One look at the website and you’re convinced of its authenticity. Bitgild offers transactions and purchases on not just gold and silver but also platinum and palladium. They promise a world class and quality service extending all over the European nations. Their motto is quality products at fair prices. They take special care with their shipments which are insured and packaged with utmost care. Finally, they strive to always stay updated with all the latest spot prices and bitcoin charts. GoldSilver boasts of a secure vault storage that is sure to keep your gold and silver perfectly safe and hidden from prying hands. They offer to sell these precious metals in the form of coins, bars, and rounds. They have a pretty exhaustive and diverse collection of coins and bars, each with a distinct design of its own, for your consideration. 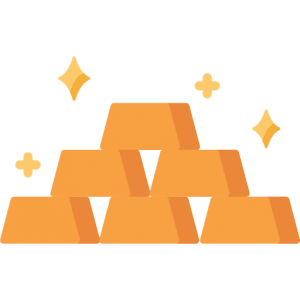 They even have gold jewelry on sale and apart from the usual buying options, GoldSilver will also allow you to sell your collection of gold or silver on the website itself. With a smooth website experience and a fine shopping experience, it is quite clear that Vaultoro ranks high on professionalism and quality. With features like a professional vault, 100% allocated gold and monthly statements for your account just like you would get in a standard banking account, you just can’t go wrong with this one. They offer the best prices and every single gram of the gold in their reserves are insured against any sort of physical loss. Finally, they also work in agreement with the Glass Books Protocol, which makes them one of the most transparent and trustworthy services around. Once you log on to any of these websites, you need to add whatever items you wish to your cart or shopping basket. In this case, you will add whatever quantity of gold or silver you’re interested in buying. Once that is done, you need to proceed to checkout where you’ll be required to submit a few of your details and then go on to the payment page. Here, you need to specifically choose Bitcoins as a payment method. Once you do that, you’ll be presented with an invoice which will feature all the details such as how many Bitcoins you need to pay to complete your transaction. You will typically be given a time frame of about 15 minutes under which you need to submit your payment and complete the transaction. To do that, you must log-on to your Bitcoin wallet and make the transfer from your wallet to the desired account. Upon failing to do that, your transaction will be canceled and your cart will be emptied. If you do manage to make the payment on time, you will get a confirmation message on your screen. After that, you might have to wait for a while as payments with Bitcoins typically take about a day to be completed. As soon as the vendor of the metals receives your payment, your shipment will be prepared and then sent out, with tracking information duly sent to you on your phone. This way you can always keep track of where your shipment is and approximately how long will it take in order to reach you. If there is one thing that we can be sure of, it is that the craze that is often associated with precious metals is never going to die. Which is why you might as well start stocking up on them. Additionally, if an unparalleled global following is what we’re talking about, then Bitcoins are not far behind. So why not combine both of these crowd favorites and use their combined potentials to bring yourself to some fantastic financial opportunities and wealth schemes? In other words, grab yourself a few Bitcoins and set out to purchase whatever amount of gold or silver best suits your budget. Good luck!